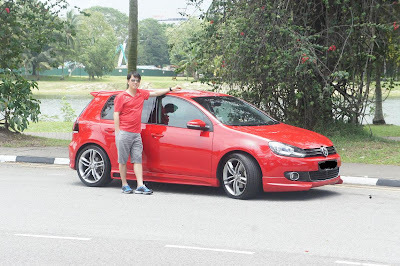 Over the weekend, met up with Jimmy - the one man VW accessories centre and he helped me to install map updates to our Golf Sports RNS510C Media and Navigation system. The new map updates covers additional roads such as the new expressways added in the past few years and locally updated Points of Interest(POIs) such as traffic light cameras, makan spots, petrol stations, ATMs etc. (Above)Comprehensive List of all petrol station POIs available. We also asked Jimmy to install two bulbs at the rear and use his VAGCOM to activate rear footwell lights which activate during night and when the door is unlocked or opened which is conveneient especially when you are putting stuff on the floor in the rear in a dark carpark. Wonderful Song originally sung by 2 Korean singers - Tim Hwang and Esna Yoon and I found this version sung by two aspiring Korean youths - Megan Lee (aspiring singer) and Jonathan Sim (of Ensemble Memo - a stringed instrument outfit) in the US a better refreshing version. You can find more songs sung by this talented duo on youtube. Meanwhile this song - He Said She Said is dedicated to the one I love. Time really flies and we found ourselves celebrating our 4th Wedding Anniversary this month. Since we are already planning to head to KL end of this year once more, we decided to skip our usual hotel stay which we normally do as part of our wedding anniversary celebrations but we continued with our usual massage and makan session. 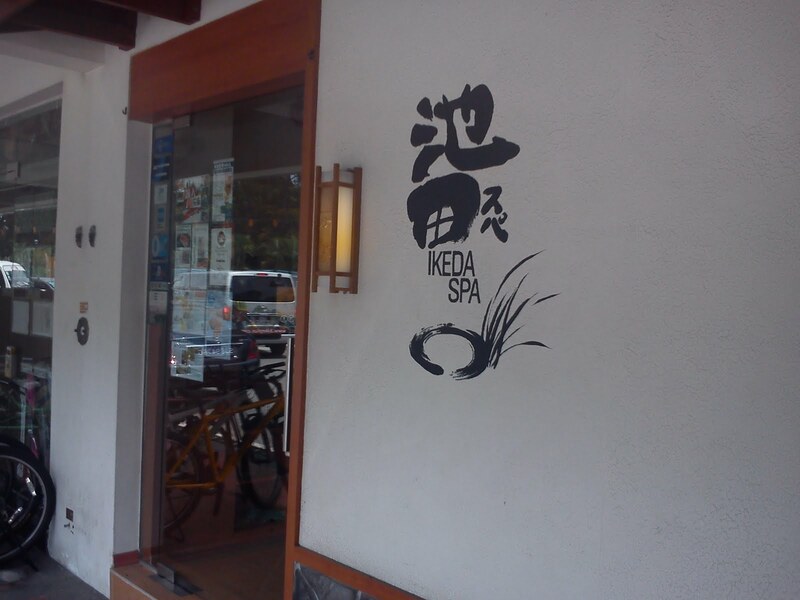 Instead of heading to our usual massage retreat to the Spa Retreat at Changi, we decided to try out a new place - Ikeda Spa along Bukit Timah Road just before Sixth avenue. Gayle had subscribed to a promotional offer from Reebonz City, a portal offering attractively priced promotions from various retailers which offered a 60 minute Japanese massage session for $58 a person inclusive of a $50 voucher for the next visit. Carpark space is at a premium outside the row of shophouse where Ikeda is located so we would recommend you park at Guthrie House just behind where Cold Storage supermarket is located although parking is not cheap ($6 for 2hrs of parking on a Friday afternoon). 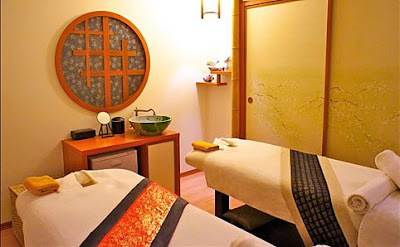 Ikeda Spa is known for it's authentic Japanese theme and treatment experience. Two very unique features of this spa includes a hot stone table and an authentic Japanese style ofuro (hot bath). Apparently, materials were shipped from Japan for their construction so as to bring home that authenticity in the spa. The spa interior makes you feel like you are in a ryokan with its traditional mats and shoji sliding doors to the spa rooms. We paid additional $20 for use of a couple room. Upon entering, you are ushered to the waiting area and served hot tea while you are asked to write down your health history and preferences. After that, we were led by the staff to the 2nd level where the spa rooms are located. We chose the Inyou massage which is a treatment for stress relief. Those who have a fear of pain are forewarned - the massage really awakened your nerves! But then the saying goes - no pain , no gain and note that this was in spite of us indicating we wanted the lightest touch at the start of the session. The staff were very polite, friendly and importantly there was no hard sell so it was a comfortable, relaxing experience. We enjoyed the massage on our calves though which really soothed the tired muscles although at times, we felt our legs were almost cramping when they pressed on the acupoints. 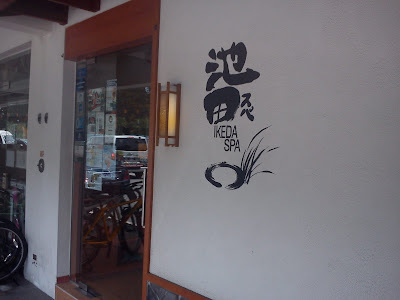 Ikeda Spa is worth a try although I guessed we still like our usual haunt at the Spa Retreat where the massage is more relaxing and not so painful for the same type of treatment. The couple room at the Retreat Spa is more luxurious with it's own bath and sauna and there was no additional charge for the couple room previously. Those interested in Ikeda Spa can go to http://www.ikedaspa.com/ for more information. After the aching though revitalising massage, we headed home for a rest before heading out for seafood buffet dinner at Ritz Carlton's Greenhouse. Priced at $70 per head inclusive of taxes after 15% discount from UOB Credit cards, the seafood meal was a quality one featuring a wide array of spread but to make your money's worth, just head for the lobsters. (Above)Boston Lobster body and claws. Between us, we had 5 Boston Lobsters and countless sashimi, oysters, scallops, mussels etc.We also enjoyed the distinct stew of their drunken prawns special. In all it was a fulfilling and relaxing end to our anniversary celebration. (Above)Crab soup - taste like sharksfin soup though. (Above) Anniversary Present to Gayle from me - A spectacle inlaid with crystals from Dior.